I love my mom’s Caesar salad dressing and have been making a lot of it lately since my girls love it too. But it doesn’t just go well with crisp romaine- it goes great on roasted brussel sprouts! I tossed the sprouts in the caesar dressing and roasted them at 400 degrees for about 20 minutes. Warm, slightly sweet, and garlicky all at the same time- yummy! On a cutting board, place the anchovy paste, dry mustard, and pepper in a pile. Put the garlic cloves onto them and begin to mince and mash together until it resembles a chunky paste. Pour the oil and Worcestershire sauce into a glass jar with a lid (I like to use my mason jars). Add the anchovy mix and seal the jar. Shake well before pouring. Place brussel sprouts into a bowl and pour on dressing. Shake gently to coat. 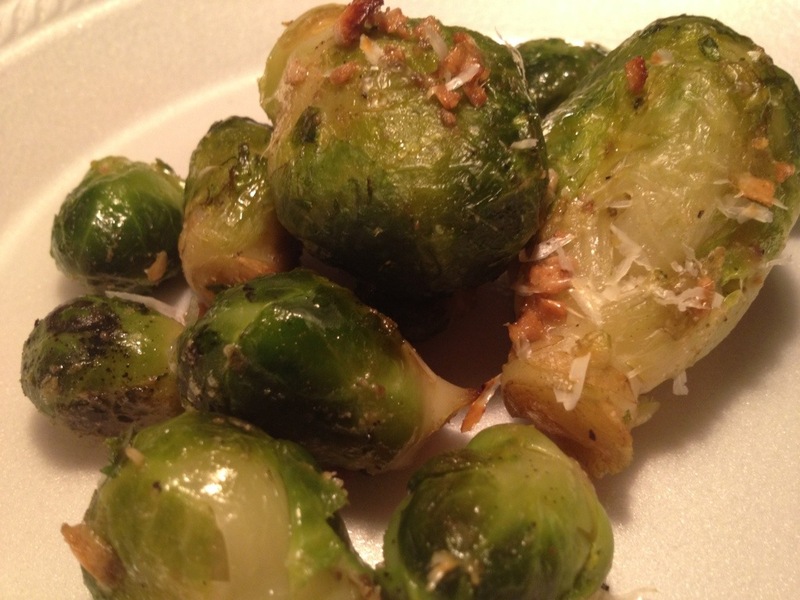 Place on a cookie sheet and grate fresh Parmesan cheese onto the sprouts. Bake 20 minutes or so. Keep leftover dressing in the fridge for up to one week.